Jack and Rachel leave Culpepper for their long-awaited honeymoon trip, a driving tour through New England. On day three, they stop at a little bayside town in Cape Cod to visit Jack’s grandmother. After he gets called away to handle an emergency, Rachel stays and listens as Jack’s grandmother shares a remarkable story about how she and Jack’s grandfather met in the early days of World War 2. It’s a story filled with danger, decades-old family secrets, daring rescues and romance. Jack is named after his grandfather, and this story set the course and direction for Jack’s life to the present day. After hearing it, Rachel is amazed that anyone survived. 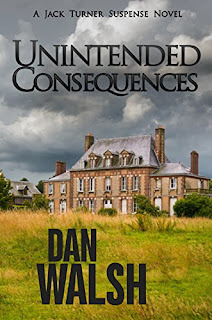 Even though Unintended Consequences is part of the Jack Spencer series (book 3) this book is a great stand-alone read. And that's how I will review it. I like both Jack and Rachel. They're smart and kind. When they stop by Jack's grandmother's home on their honeymoon, I find them even more endearing. After Jack heads home for a quick few days, Rachel settles in to visit with Grandma Renee. That's when the real tale is told. During WW2 Jack heads to England to find a long lost relative. At the same time, Renee flees there to avoid the attacks on France. The story is a little slow to start but once it does, it's filled with action, romance, and the realities of war. I found the perspective of fighter pilot's interesting. My dad was in the Army during WW2 and didn't talk much about it. He's was proud of his service, but I think the terrors of it all were too difficult to discuss. Although this is fiction, it's an interesting and fact filled story. 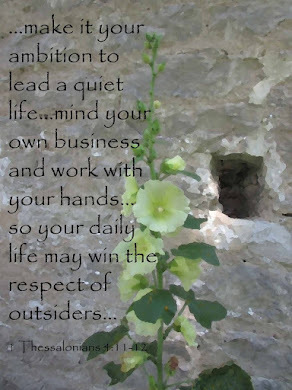 If you've read the other Jack Spencer books, you'll find the history in Jack's family interesting. If you haven't read them, this book stands alone just fine. On this Memorial Day weekend as we remembered those who gave their lives for our freedom, I find this an appropriate and entertaining read. I received a free copy of Unintended Consequences from the author.